If you want to have the best diving in Thailand for the day but return to your Khao Lak hotel, Nawanoppa's trips are perfect. Usually diving day trips involve some kind of sacrifice – such as comfort, speed or price – but not on Nawanoppa & MV Lapat. You are transferred from local hotels & resorts in the morning, and taken to Baan Nam Khem Pier. At 8.30am, Nawanoppa transports you quickly & comfortably to meet up with MV Lapat (a large liveaboard diving ship), you arrive around 9.30am. After a boat briefing, you're ready to dive. Diving from Lapat you get a large diving platform & space to move around. This is much better than trying to dive off a speedboat. At lunchtime, everyone enjoys wonderful food on the ship, and can you even snorkel around it. There’s no need to spend the surface interval on a small boat in open sea. MV Lapat will be safely moored, with proper toilets, showers, and room to sunbathe or walk around. 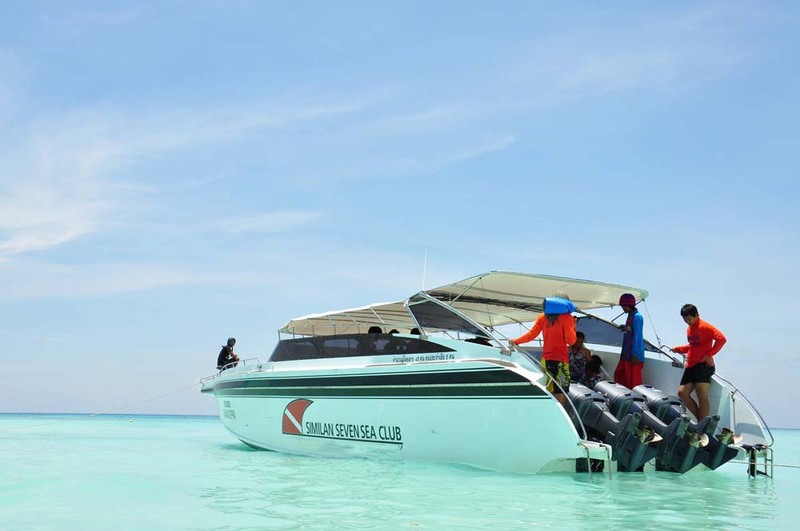 After your second dive, Nawanoppa’s three powerful engines ensure that you return to the pier before 4.30pm, where the minivans are waiting to take you back to your hotel or resort. 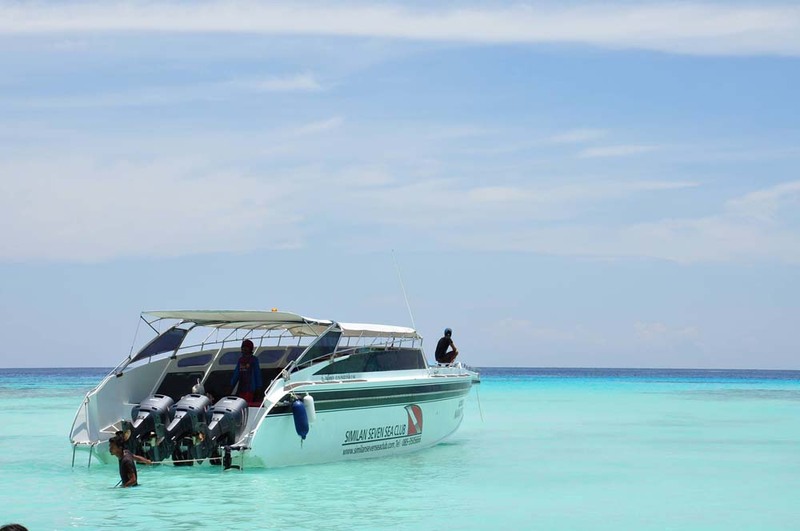 Nawanoppa is your best of option for day trips at the best dive sites in Thailand. It's fast, comfortable, and there's something to do at lunchtime. 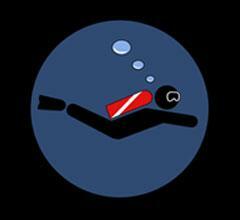 On Wednesday & Fridays Nawanoppa & MV Lapat dive at Richelieu Rock. Although this is the best diving site in Thailand, it is not suitable for novice divers or snorkellers. A selection of PADI courses are available on Nawanoppa day trips. Please contact us for the latest rates and availability. Nawanoppa guests are collected for free from most Khao Lak hotels & resorts in the morning and returned back after the day trip. The transfers are shared with other guests and therefore at set times to meet the boat. Great boat, great crew. I have enjoy it allot on a trip to ko tachai. Diving prices do not include National Marine Park fees (700 THB / diver & 500 THB / non diver). Equipment rental, for those who require it, is an additional 500 THB / diver / day.